The Great Glen Way is one of 4 long distance walking paths in Scotland and also its newest having been officially opened in 2002 although people were using stretches of it for walking and other outdoors activities many years before that. Spanning 73 miles it might be the newest but, arguably, it’s Scotland’s ‘jewel in the crown’ where long distance walking is concerned. It runs from Fort William in the west to Inverness in the East. Walkers traverse it from west to east and vice versa but it’s said that west to east is better because with the sun behind you, it’s easier to marvel at the breathtaking scenery on route and it’s the easiest section of the route so a good way to ‘get your feet wet’ if you’re new to long distance walking. 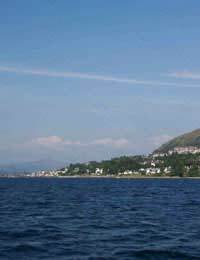 In addition to walkers, much of the Great Glen is also highly popular with people who enjoy boating holidays. It’s a great place for all levels of walkers and is the perfect way for newcomers to experience the thrill of long distance walking as the route mainly follows low-level towpaths and woodland. There are, however, more challenging parts of the route where those who also enjoy climbing can have a go at ‘bagging a munro’. This is a Scottish term referring to mountaineering and rock climbing and reaching the summit of a ‘munro’ which is any mountain which is higher than 3000 feet. To walk the path from start to finish usually takes around 5-6 days and there are plenty of local community stop off points at which you can stay overnight. For walkers who are also keen boating enthusiasts, Neptune’s Staircase, just north of Loch Linnhe, is the longest staircase lock in the entire UK. Comprising of 8 locks, it lifts boats 64 feet and is quite a spectacle. For history enthusiasts, Laggans Lock is close to the site of the ‘Clan Battle of the Shirts’ which took place in 1544. At Fort Augustus, there’s a magnificent abbey which housed Benedictine monks until quite recently. No walk in the Great Glen would be complete without a visit to Loch Ness – home to the great mythical creature, fondly called ‘Nessie’, which is said to lurk far beneath the depths of the loch. Close by, there’s Urquhart Castle which, in its day, was one of medieval Scotland’s largest strongholds. It’s situated on a headland overlooking Loch Ness and, although now ruins, it’s still an impressive structure. To experience the traditional Scottish way of life, you can visit Abriachan, which is a small hill crofting community where you might get to experience a Ceilidh and where you may get to see many of the events taking place that constitute the Highland Games, such as tossing the caber, for example. Craig Leach Forest gives you your first glimpse of Inverness and its magnificent castle – the capital city of the Scottish Highlands – which you can walk right into on one of its tranquil canalside paths. Both Fort William and Inverness are well served by both national rail and bus routes. And, if you’re coming from further afield, and have no objection walking from east to west, Inverness also has its own airport into which some of the budget airlines fly.